It’s simple, effective and the best part is – without throwing silly money at it, you can increase your PPC enquiries. There’s more to improving the number of PPC enquiries you get than just increasing your daily budgets and cost-per-clicks. We’ve have sectioned out each of the key areas to look at in order to optimise your PPC campaigns without needing to increase your current PPC budget. As always, please leave a message in the comments section for any questions you may have. Feel free to comment on your favourite PPC optimisation tips too. The Search Terms report shows the exact keyword someone has typed in – ending up as a click. You can find it in the “Keywords” tab, just underneath the tab itself. How can you avoid wasted clicks? Add negative keywords to your campaigns and ad groups for keywords which are costing you money but not resulting in any clicks. This can dramatically reduce the wasted clicks on an account and means your budget will be spent on the keywords that really matter. Next, create dedicated ad groups for high performing keywords so you can keep a close eye on them and control CPC, ad text and landing page destination. You’ll have more opportunity to optimise top performing keywords and increase their Quality Score. A company mentions in this article that they were spending $147,000 on keywords that didn’t produce a single lead! A Quality Score is how Google AdWords assesses how relevant your ads and landing pages are to each keyword you’re bidding on. Simply put, the higher your quality score for a keyword (out of 10), the cheaper your CPCs will be, and the cheaper your conversions will cost. What are your Keyword Quality Scores? To find out your scores, head to the “Keywords” tab. Click the “Columns” drop down, “Modify Columns” and add “Qual. Score” under the Attributes metrics. If you’re on an 8 or 9 out of 10 then give yourself a pat on the back! Improving click-through-rate is a fairly simple, if slightly time consuming process. 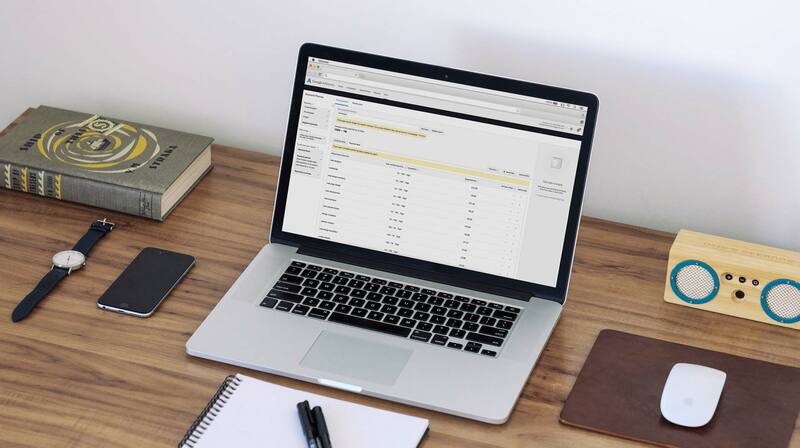 First, create and test different ad texts, Start with the best performing keywords in your search terms report and write ads with relevant offers that’ll draw in your customers and make them click through to your website. You could offer “free trials” and other benefits to stand out from the other competitors’ ads. Set up multiple ad text for each ad group so you can A/B test and discover which type of language is best to use to attract customers. Produce dedicated landing pages which link to the ad group and keywords and you can increase your Quality Score (reducing your cost per conversion). 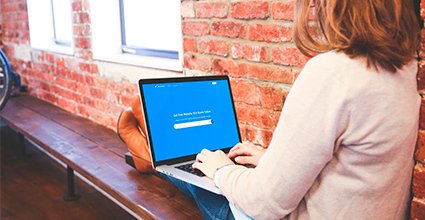 Match your keywords to your landing pages. Ie, if you’re a clothes retailer selling red shoes, be sure to send the users who click on your ads for red shoes to your red shoes products. If your landing page answers a users’ queries, questions and needs effectively, your quality score will improve. Boom. Cheaper sales and budget saved to use elsewhere. We’ve posted a lot about conversion rates recently. They’re a powerful way of increasing your business’ sales and enquiries, through your website. Basically, it’s about building on the website visits you already receive and encouraging users to convert. Relevant landing pages are likely to increase how much visitors fill in your forms or make a purchase. Landing page experiences are important – Google agrees. 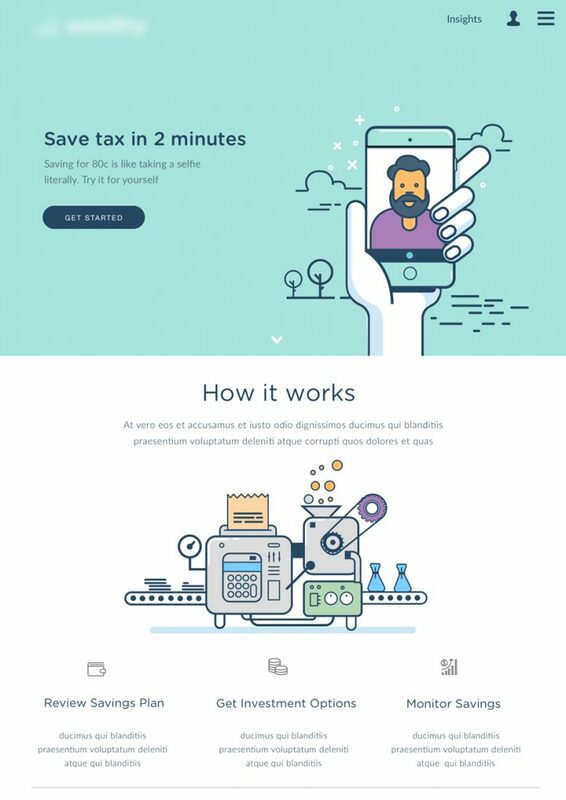 Businesses that are improving their conversion rates are testing their websites 50% more than those who don’t see improvement – testing works, so how can you test? 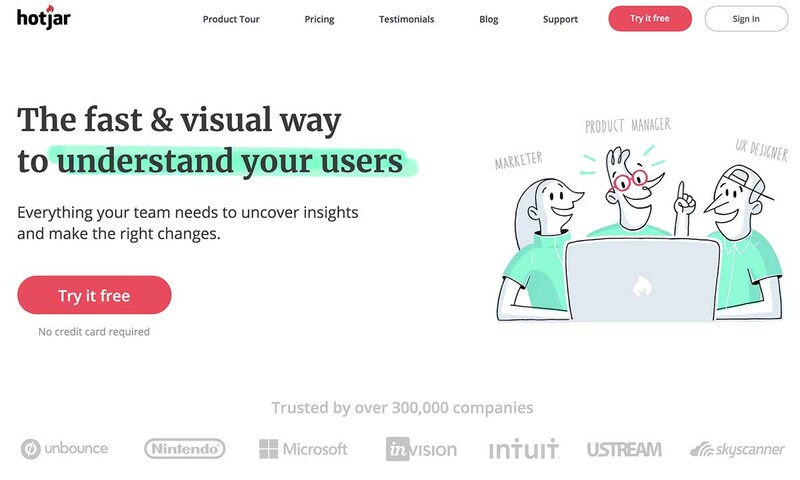 Look at the entire journey your user goes on – from when they land on your site to every piece of info they see in between. Setup split tests, perform user testing and analyse your analytics data to find out where and why users may be leaving your website. Particularly in B2B marketing there’s trend for desktop users to convert better than mobile users. Business owners might not feel 100% comfortable about signing up to anything, but will happily browse. Desktop can convert better, but there’s slightly higher CPC. Or, is it that mobile users will see the ads and then sign up later on their desktop? Smartphones can be more of a research platform. Test this theory for yourself. You can find your device settings under the “Setting” tab. Click on “Devices” and create bid adjustments for them. Ie, -100% bid means you won’t be bidding on them at all. Consider behaviour depending on the device. Locations allow you to hone in on very specific areas and see what’s performing best. A particular area might have a high conversion rate and you can increase your spend there. Or your CPC might inflated with no real return in other areas, so you can reduce it. You can find out your top locations by going to “Reports” (very top of the page), clicking on “pre-defined reports” drop down and selecting “Geographic”. Bid adjustments are made in the campaigns tab, under Settings. 66% of marketers agree that location based advertising is especially exciting for mobile. 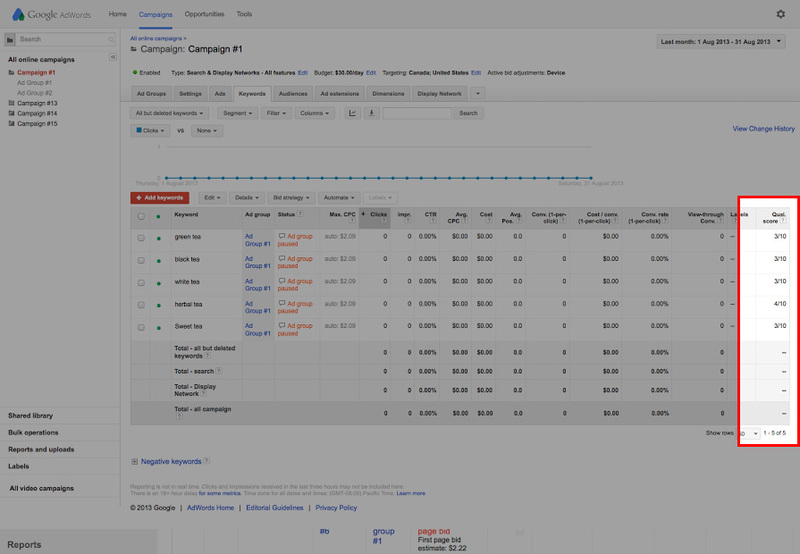 With AdWords, you have the power to choose when your ads are seen by your users. Cool, right? Your audience might convert better on Thursday and Friday, but hardly ever convert on a Sunday. Why not reduce the budget or CPC on the Sunday and increase budget or CPC on the Thursday/Friday. 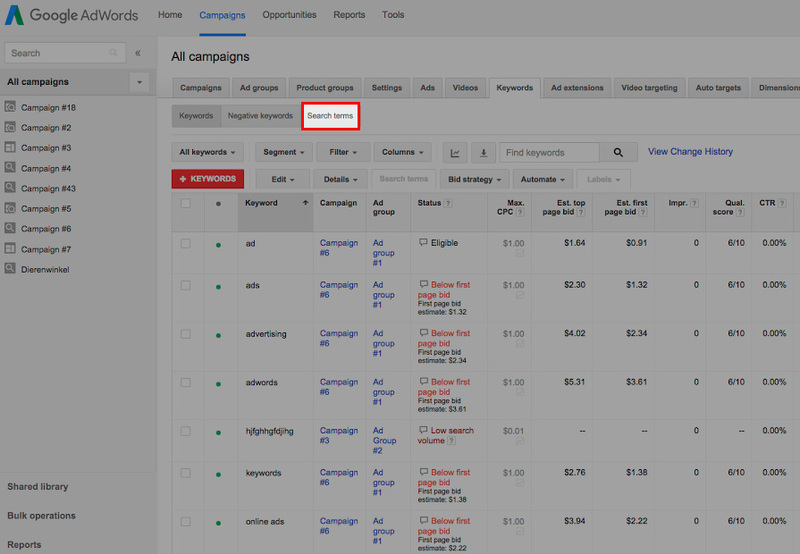 You can find your Ad Schedule (aka, timing) report under Settings, “Ad Schedule”. Making these improvements can be time-intensive and fiddly, so if you need a hand then we’re more than happy to help. PPC AdWords is something which can be effective for almost any business, so stick to the tips above and you should see your costs reducing and return on investment improvement. If you are not receiving the return you need, it might be that PPC AdWords isn’t the right choice for your business and your ad spend. If you’re not sure then let’s have a chat. It could be the case that investing in other media is more cost effective and you’ll receive better quality enquiries and more sales. Click-through-rate is a massive part of a Quality Score, around 60% according to Google’s Chief Economist.